Auto insurance is mandatory for drivers of any age. Insurance is, however, not equal for drivers of every age. In Ontario, actuarial data is still a key factor in calculating car insurance premiums and age does make a difference. There are arguments for and against age discrimination in the auto insurance industry, particularly in New Brunswick and Nova Scotia. In Ontario, seniors face a two-sided experience. Mature drivers age 55 to 70 experience some of the lowest insurance rates of their lifetime, provided they’ve maintained a clean driving record and claims free insurance history. After age 70, statistics show that incidents start to climb to the point where some seniors experience rates similar to drivers under 25. 3 How Old Do I Have To Be? 4 Is There A Difference Between Someone That’s 50 And Someone That’s 65? 5 What If My Spouse Is Younger? 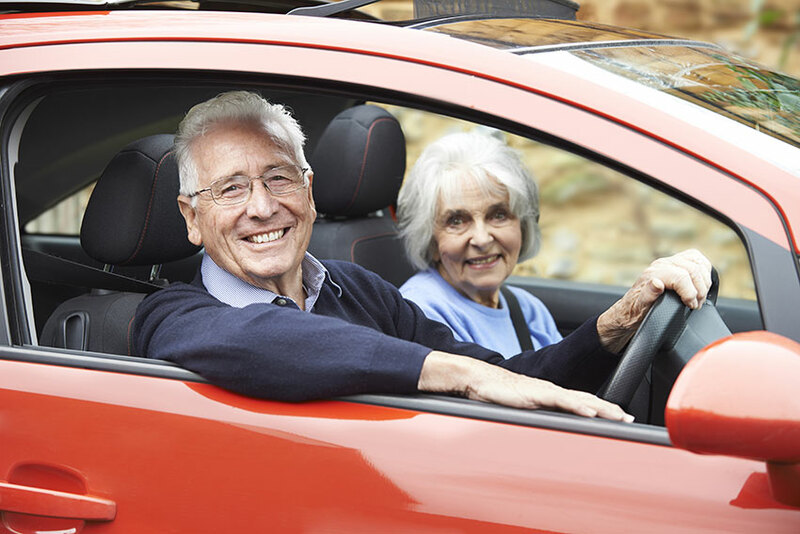 Many insurers actively seek drivers in their early senior years. This indicates that taken as a group, these motorists have few claims. For the insurance company, that means accepting premiums with low risk of paying out funds after accidents or other incidents. Some companies specialize in drivers 55 and older, concentrating marketing on this market. Other companies may offer insurance packages designed for seniors, along with other packages for general insurance users. Finally, most insurance companies offer discounts for mature and retired drivers. Some of these discounts may not be directly age based but have conditions that motorists in their senior years can more easily fulfil. If you qualify for a mature driver discount, don’t assume the insurance company will automatically apply it, once you reach a “magic birthday.” Ask about it, and about any other discounts for which you qualify. Changing the way you use your car can also affect your rates. For example, your daily commute to work factors in to what your policy costs. An older driver, transitioning into retirement, may cut back to shorter work weeks, and a retiree may drive very little at all. Alerting your broker to these changes will likely result in lower rates. Combining drivers, more than one vehicle and bundling car and home insurance are strategies you may already use. If not, ask your broker if you can benefit. Some insurance companies in Ontario are starting to offer usage-based insurance. Also referred to as telematics, this program uses a device to collect and report car usage information. Monitoring things like acceleration, braking, time of day and kilometers driven, these devices can lower your insurance premiums. They cannot be used against you. That is, your insurance rates can’t go up based on telematics data. A five or ten percent discount is offered just to participate, with further discounts possible later on. There’s a common misconception out there that you need to be 65 before you can apply for mature discounts on your auto insurance, but that’s not true. There are insurance companies that offer discounts to clients that are over 50 and others that offer discounts for clients that are over 55. The best approach to finding what kind of discount is available to you is to shop around just like you would at any other age. As you get close to that 50 mark start to consider your options. Is There A Difference Between Someone That’s 50 And Someone That’s 65? Insurance companies certainly view anyone that’s over 50 with a clean driving record as less of a risk than someone that is 25 and your rates will certainly go down, but not nearly as much as they will when you actually retire. For most people that age may be 65, but for others, it might be a bit younger. Once you do fully retire you’re going to be on a fixed income and that means it’s important to find the best deal possible to fit your budget. What If My Spouse Is Younger? How old your spouse is will affect your policy as the insurance companies will believe that your spouse is driving the car as well at some point. For example, if you’ve reached the age of 50 and are looking for insurance discounts, but your spouse is only 45 you may not get the biggest discounts possible. It still pays to shop around and ask questions though as you will likely find insurers that are willing to offer you some kind of discount. Arguably the biggest reason that insurance can go way down once we finally retire is because we’re no longer taking that long commute to work every day. The less time you travel on the roads the less of a risk there is of getting in an accident and insurers recognize this. Essentially, you’re driving become simply something you do for pleasure and not to get to work. You will receive a discount on your insurance because of your mature and responsible driving record, but also because you’re now going to be spending a lot less time in your vehicle. With a competitive private insurance marketplace, any Ontario driver can benefit from aggressive price checking. There are hundreds of companies offering auto insurance in the province. Contacting each would be ideal, but it would take too long to be practical. Fortunately, Ratelab’s car insurance calculator will do the digging for you. Once you enter your car insurance data, Ratelab contacts dozens of car insurance providers and returns the best rates for the coverage you want, whether you’re sixteen or sixty. Does My Car Insurance Policy Cover Road Rage?